It was black and white and checked tartan colors for the FAY fall/winter 2015-2016 collection presentation on the Milan Fashion Week runway today. 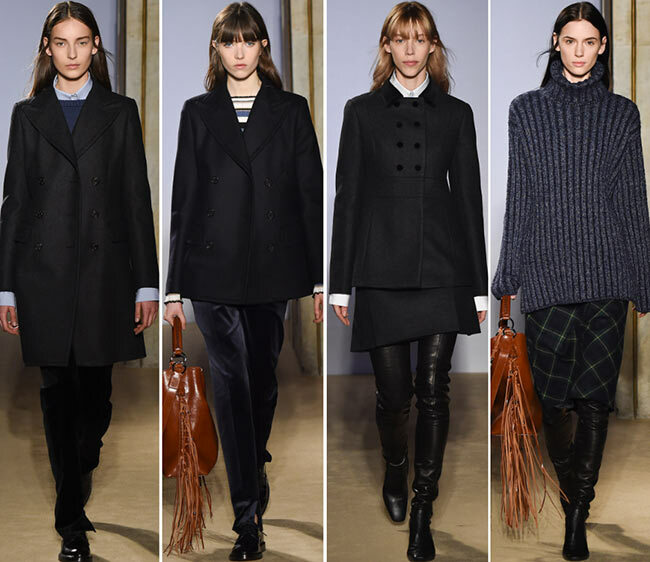 It was tailored jackets and tight fitting velvet pants, pretty berets and thigh high leather boots. The Italian brand may normally like to focus on the ’60s and ’70s, but this time around it had a rather distinct look to it. It is clear that the label specializes in outerwear for men as well as women and children, for the whole of the collection seems to have outerwear in mind. While other designers are baring the chest and showing off the legs through thigh high slits, this one brings the focus on being covered up from head to toe with nary a sliver of skin left showing. 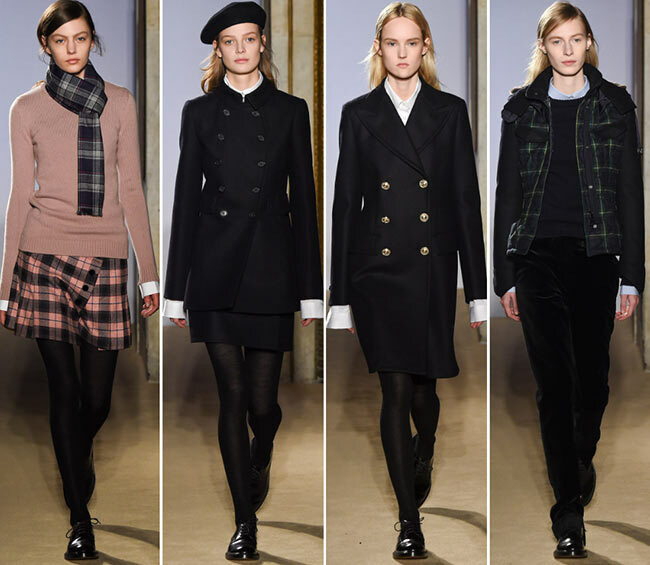 The collection began with a super dark ensemble, a high collar white shirt thrown underneath a black coatdress with an A-line skirt and legs clad in black tights before wearing shiny leather flat shoes for added comfort. There is no makeup on the face while the hair is pulled into a deep side part, tucked behind the ears and made to fall down the back. 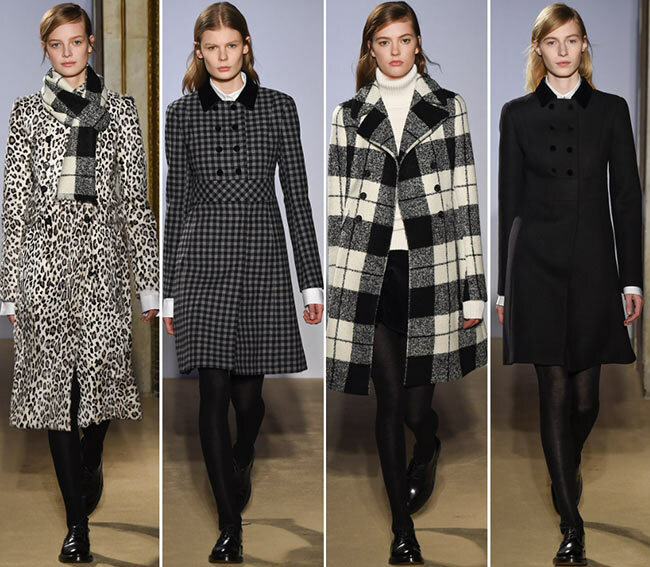 While it may have started off on the sombre side, the final look has the model in a gorgeous black and white leopard print coat, the white shirt’s sleeves peeking out in perfect tandem on both sides, while the black tights and shoes are kept the same. There is a lovely black grey and white check scarf around the neck, while the hair is kept in the deep side part but pulled back from the face with little tendrils framing the model’s features. It’s a very pretty look, glamorous in a rather understated manner, chic and stylish without over-the-top embellishments. We fell in love with the gingham flared skirt coatdress with the velvet collar reminding us of an olden governess with her hair parted from the center and her lack of makeup adding a harsher edge to her face; we certainly admired the very French look with the berretta on the head, the hair tucked behind the ears, the thicker brows and prominent features, as well as the gray gingham coat with the velvet buttons on the chest mixed with the black mini skirt and fringed leopard print handbag perfect for a schoolgirl or small town travelling. 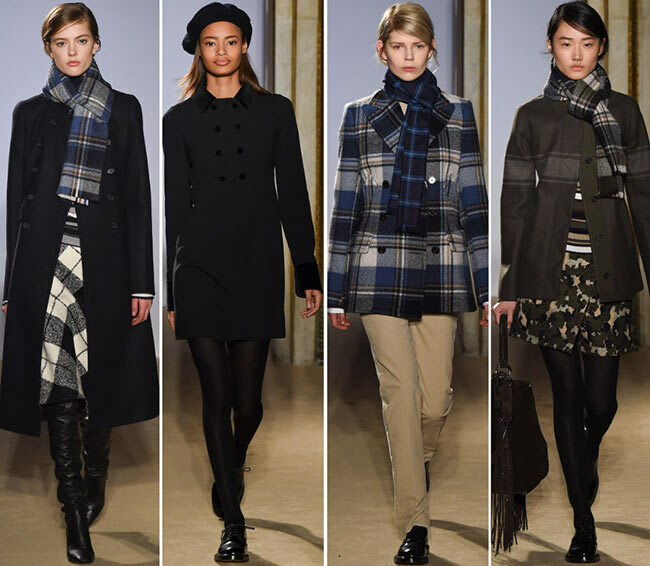 It comes as no surprise that we could not stop admiring the plaid and the tartan, the use of the Scottish style on jackets, skirts and twill scarves. We even had a black, red, gray and white plaid midi skirt appear among the mix with a matching scarf and striped fitted sweater in the same colors, completed with thigh high leather boots and a fringed black suede handbag large enough to fit everything necessary inside. 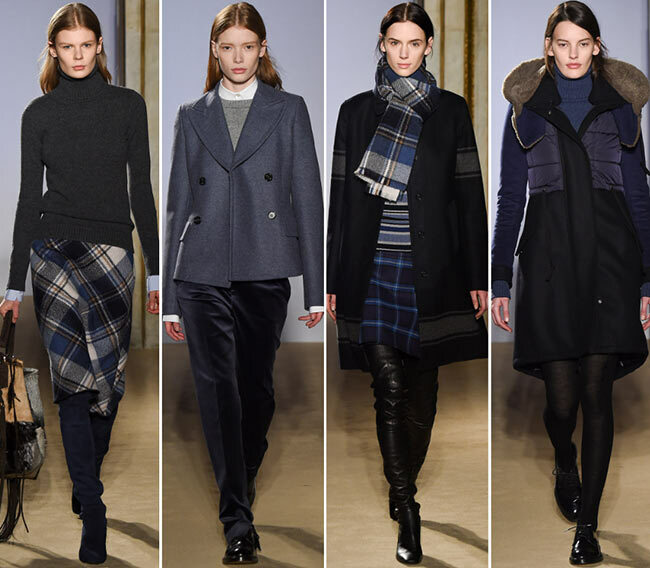 We enjoyed the darker looks and we certainly enjoyed the checked pieces dotting the entire FAY fall/winter 2015-2016 collection, drawing the eyes to their diagonal patterning, to the subtlety of the colors and the perfect cozy ensembles created out of them. Plus, those handbags are to be coveted, without a doubt!